Home Companies What would Facebook do with its own Cryptocurrency? On Tuesday, Facebook undertook a major reshuffling of its management and created a new Blockchain Division. Facebook has not given details about the exact work of the division nor any specific projects just yet. But for good reason, the social media giants may have their eyes set on cryptocurrency. Bitcoin may have drawn attention to the world of cryptocurrencies decentralized ledgers but it is blockchain—which now has been seen to have many other applications beyond cryptocurrency—that is being adopted mostly by business. A lot of blockchain startups have sprung up to develop interesting applications of Blockchain. But it’s not just these startups that are making efforts; governments and established companies like IBM have made huge advances in the area of blockchain. 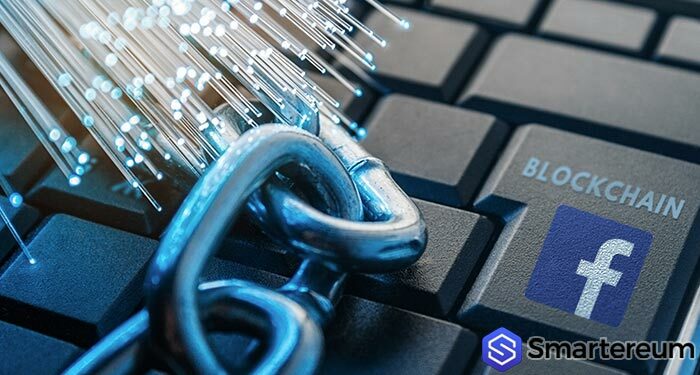 Facebook may not have been noisy about blockchain or cryptocurrency in the past, the creation of a separate division for blockchain shows intent and may precede major blockchain announcements in the near future. Every year since 2009, founder and CEO of Facebook Mark Zuckerberg takes up a personal challenge whether it is reading a certain number of books or like running a certain distance. However, this year, he announced a personal challenge that didn’t really seem personal neither did was it like others he’s had in the past—and He admits it. In loose terms, Zuckerberg wrote that he was going to explore the benefits and disadvantages of cryptocurrency and blockchain technology. “My personal challenge for 2018 is to focus on fixing these important issues,” Zuckerberg said referring to abuse, hate, and government interference within the Facebook community. The new focus on giving power back to the people as versus the old mission focused on creating a community more or less reflects the ethos of decentralization. At the event in June 2017, Zuckerberg said the mission was not a guiding philosophy but an actual goal. Back to his March 8 post, Zuckerberg identified cryptocurrency as a tool to empower the people. “There are important counter-trends to this–like encryption and cryptocurrency — that take power from centralized systems and put it back into people’s hands,” he said as he decried the fact that many people were losing faith in true decentralization. David Marcus – The man for the crypto job? The appointment of David Marcus may be a sign that the company is moving in direction of a creating a virtual currency. Marcus has experience from his days as Vice president and later President of payment platform, PayPal. At Facebook, he oversaw the development of Messenger’s P2P payment system. In December 2017, Marcus was appointed to the Board of Directors of the Coinbase cryptocurrency exchange due to his experience with digital payments at PayPal and Facebook. Marcus has been referred to as an early promoter of cryptocurrency. He seems the ideal candidate to push through a cryptocurrency agenda at Facebook. You can pick your favorite moment from the whole series of events that we can now call the Cambridge Analytica Scandal, whether it’s the DeleteFacebook campaign, the hearing, the criticism by Apple’s CEO, or the dramatic way the market responded to all the drama. At Facebook, they would go for something outside those options; they would choose to avoid all of that or to somehow ‘fix’ it. Implementing a decentralized system is one way Facebook can prove to the world that they are the ‘good guys’ trying to connect people. A system where users have complete control over their data will erase doubts about the sincerity of the company’s data policies. Facebook may also be looking to adjust its business model to one that’s less dependent on Ads. There’s a lot that can be monetized on Facebook platforms and a token to base all monetary value will be subtle and effective. A native token would fit almost seamlessly with Facebook services. It could be a uniform means for users to pay for things like Facebook ads and it can also use these tokens to encourage users to create and post content on its platforms. This eliminates problems faced by some users in economically unstable countries and currency conversion problems faced in the past. Another interesting aspect is Facebook’s new dating service and the strong relationship with these services and tokens. Most dating apps have a token system that grant users ‘special powers’ or to curry favor with other members using digital gifts. If the company is going in this direction, having its own coin would serve it well. One thing Facebook seems to be doing is bringing their communities together so a uniform token that can be used across all platforms wouldn’t be a strange idea. Actually, it would be very interesting to see. Facebook policies have not been friendly towards cryptocurrency activities. The firm updated its policy to ban adverts for Initial Coin Offerings, Cryptocurrency related activities citing them as being deceptive. Google and Twitter followed suit. UK Independent reports that Rob Leathern who is Facebook’s ad policy directors said that the ban will be reviewed once the company has a better understanding of cryptocurrency. If Facebook indeed goes into cryptocurrency, it will definitely have a huge impact on within and outside the cryptocurrency community. With over 2 billion users spread over the world, a Facebook cryptocurrency is bound to influence cryptocurrency adoption worldwide. But it is unlikely this would happen soon. Understanding cryptocurrencies may just mean understanding cryptocurrencies. With the current regulatory uncertainty and market volatility, Facebook like Nasdaq may wait till the market matures and regulatory standards are better defined before going into cryptos. Next articleFacebook Blockchain Team: Will Facebook Launch Its Own Cryptocurrency?